Not my playing, by the way. 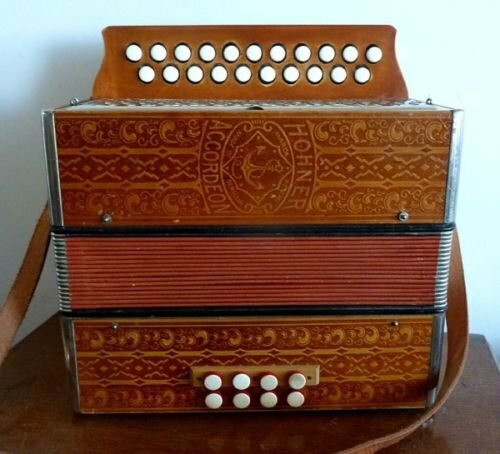 Trouble is, I've found this really wonderful Crabb Crane Duet concertina that I've been in search of for quite a while. So, I'm going to let this go for $500 USD plus shipping. It's in great condition, has a good case, a strap and will give you a lot of enjoyment. You will likely have better success trying to sell this instrument over on Melodeon.net. But good luck in any case. It's over there too, but I thought, just in case. Yep, best to cover all your bases.